Having get togethers in the garden can one of the most enjoyable things to do with your loved ones in the warmer months. Spending time outside, getting fresh air and vitamin D, enjoying great food and even having a few drinks can be such a heavenly way to spend your spare time! However, you need to have the right garden area to accommodate your get togethers and ensure they’re amazing! Here are some tips and tricks to make your garden just perfect for these kinds of get togethers. Just be warned: it might be seriously tough to get people to leave! 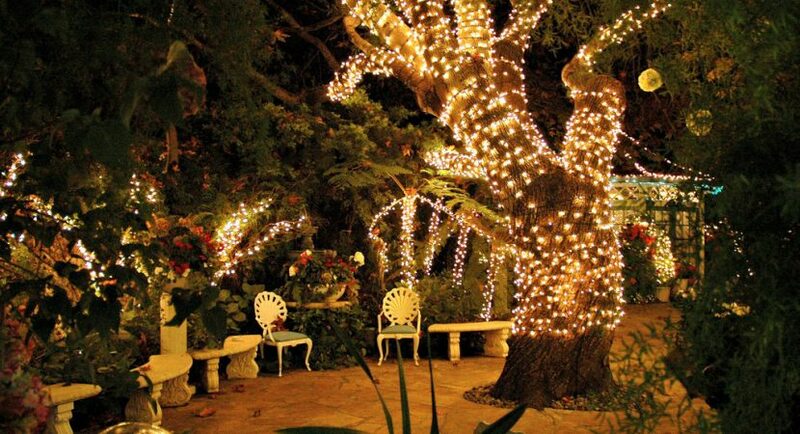 Lighting is one of the most important things you can install in your garden if you’re going to host amazing get togethers. You need to make sure the lighting can easily be controlled and that it provides enough luminosity to light up the space just right. You can get solar powered lights or lights you can control yourself – you can also add a bit of a cosy atmosphere with string lights or fairy lights. Next up is creating a comfortable, social seating area. Having a wooden table and chairs isn’t always enough – they’re not exactly the most comfortable option, especially if your guests are going to be sitting on them for hours. Instead, see if you can find something more comfortable. Lounging style seating can be great, and your garden get togethers will be super chilled out this way. Just make sure that whatever you choose is either weather proof, can be weather proofed, or is protected by something else. If you don’t, you’ll end up having to replace your furniture much sooner than you’d like. Arrange your outdoor furniture just as you would your indoor furniture. Make sure it’s a social arrangement and that people can see and talk to one another easily. Don’t be afraid to set out to decorate your garden as you would your home. This means including various accessories, such as wind chimes and ornaments, to give it personality and make it a more welcoming space to be for guests. Have fun with it, and use various layers and textures to bring your garden to life. You can see articles and tutorials on this all over the internet, and you certainly don’t have to hire a professional if that’s not something that’s in your budget. It tends to get a little cooler at night time, wherever you live. People will notice, and this is the kind of thing that will either send them home or stealing your sweaters! Make sure you can keep people warm by looking at the various heating options you have for your garden. You could start by reading pellet stove reviews to see if this option is right for you. Then there are fire pits. You have a variety of choice, so make sure you select something that’s right for your garden, where you live, and your budget. Don’t forget, keeping people warm doesn’t have to mean installing new things and spending a ton of cash. Simply having baskets outside filled with throws could be a great way to keep people warm and make them feel more comfortable. If bars in cities like Budapest can give their guests blankets to enjoy outdoor drinks at night time, so can you! Keeping your garden tidy will reduce the chance that any of your guests will fall over and hurt themselves. Stray pet toys and kids toys strewn all over the lawn can be a safety hazard and will ruin the look if the garden that you’ve worked hard to put together. Don’t forget, keeping weeds at bay, the grass tidy, and everything else in order will also ensure that you aren’t trying to keep frogs, birds, and other wildlife away while you’re entertaining. Having them around can be great, but if you’re having a get together, make an effort to tidy up so that nobody gets freaked out. If your garden is uneven, only then should you consider looking into a pro who would be able to level it all out. There are probably ways you can still find around it, but it’s probably easier if you do this so you can avoid having to call an ambulance when somebody falls after having too many spritzers.